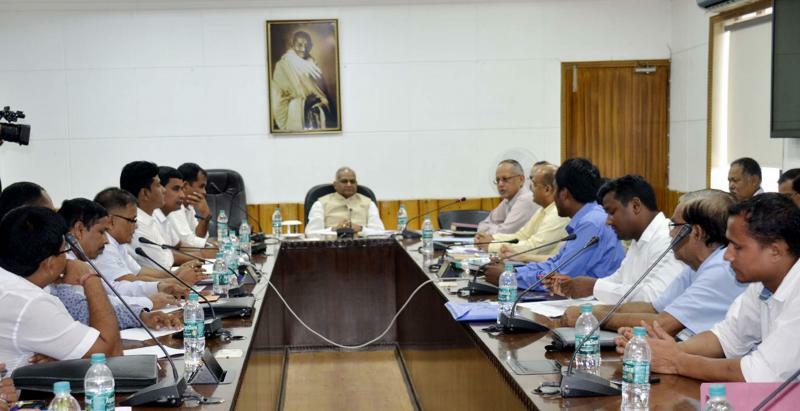 The Assam Government is very keen to resolve the issues pertaining to granting of ST (Plain) status to six communities of the state, Assam Chief Secretary V K Pipersenia said. The Chief Secretary and other senior officers discussed with the leaders of Moran, Muttock, Koch Rajbongshi, Chutia, Adivasi/tea tribes and Tai Ahom communities on various issues related to the process of granting ST (Plain) status to them, an official release said on Tuesday. The Chief Secretary assured he would take up the matter with the Union Ministry of Home Affairs and try to expedite the process. He also called on the leaders of the six communities to extend all cooperation to the state government so that the issues could be resolved at the earliest. The meeting was attended among others by Additional Chief Secretary Home and Political Department T Y Das, Additional Chief Secretary Welfare of Plain Tribes and Backward Classes Department Rajiv Bora, Director General of Police Mukesh Sahay and Commissioner and Secretary Home and Political Department L S Changsan.